Want to become an innovator? The trick is to look at the world a bit differently. Who Should Read “The Four Lenses of Innovation”? And Why? There’s an innovator inside all of us,” writes Rowan Gibson, adding that “literally everyone on Earth has the potential for creative thinking because it’s an innate human capability. “The Four Lenses of Innovation” attempts to awake this innate capability and is for everyone who wants to make the world a more advanced or, simply, a better place. 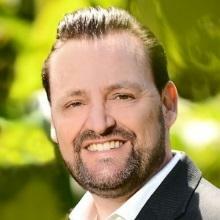 Rowan Gibson is a consultant and bestselling author, one of the world’s leading experts on business innovation. Labeled “Mr. Innovation,” “the Innovation Grandmaster,” and “the W. Edwards Deming of innovation” Gibson has delivered keynote speeches and seminars in over 60 countries and has authored three books translated into over 20 languages. Gibson is also the co-founder of http://innovationexcellence.com/, one of the world’s most popular innovation websites. Most ancient cultures had no discernible concept of genius whatsoever. In fact, that’s why we don’t know the name of the author of, say, “The Epic of Gilgamesh,” the very first work of literature in history. It’s not that it was difficult to put the name of the poet above the first line of the work! However, according to the Sumerians and many other cultures throughout history, this would have been all but a blasphemy. After all, talents were the very definition of divine gifts, and presenting something that doesn’t belong to you as yours, is certainly not something people would admire. Hell, even the Ancient Greeks weren’t that much above this notion! The Romans inherited this belief, modifying it a bit and eventually ascribing all creative powers of an individual to his tutelary deity suitably named genius, i.e., household guardian spirit. Put simply, the Romans believed that each person is part human, part divine, and that, logically, his divine nature (the genius) is the one responsible for all great works of the mind or the heart. After the collapse of the Roman Empire, the Catholic Church ruled most of Europe for the following ten centuries, now appropriately remembered as the Dark Ages. Following the Judeo-Christian tradition, the Catholic Church made sure that it transformed into vice all of the things we now consider virtues: individuality, originality, innovation. During this period, it was sinful not to conform, and it was egotistic to think that you are capable of creating something: God was the only Creator, and artists and scientists were merely mediums of His Will. And then the Renaissance came and radically changed everything! Whereas the medieval mind had been severely suppressed, the Renaissance mind was set free to discover the beauty and the wonder and the significance of every possible phenomenon. 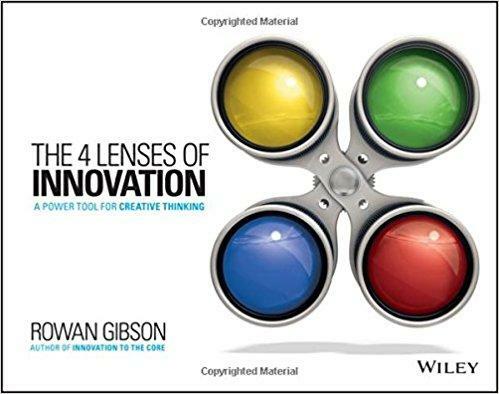 It is to the great thinkers of the Renaissance that we owe the four modes of innovative thinking or, as Rowan Gibson labels them, the four lenses of innovation which you can still use today to break through the known barriers. Etymologically, “orthodoxy” means “right opinion” or “right belief” – and there’s a reason why it was considered reasonable to be orthodox for millennia. Orthodoxies codify concepts, ideas, and best practices and they work great on the collective level. After all, why should you question the way something is done if millions of people before you have used the same method to do it? Orthodoxies eliminate the need to think which is great if you like to preserve mental energy for something else. However, it is obviously not if you want to be an innovator. And this is where many innovators start: challenging conventional modes of thinking. Have this in mind every time somebody says that “some things are done certain way for a reason.” Analyze: what could that reason be? Is there any other way to do it? 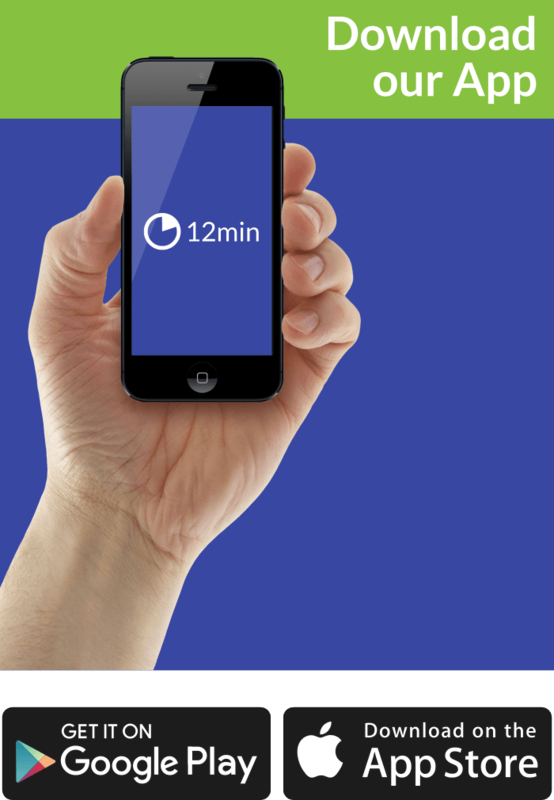 Has technology changed in the meantime to make this other way a feasible solution? And that crazy idea that guy had some time ago… well, let’s see if it was crazy enough to work! You don’t have to be the first to be the best. The iPhone, the iPod, the iPad, the Apple Watch – these are all merely adaptations of products which existed before them. And, don’t know if you remember, but Yahoo was here before Google. The point – in many cases – is to recognize the emerging trends and focus your attention in their direction. Innovators have been doing this for centuries: in the 1870s, no less than 23 people worldwide worked on inventing the light bulb! In other words, be perceptive! Analyze the trends and discover which product seems most likely to revolutionize and/or disrupt an industry. Then, simply go for it! They say that necessity is the mother of invention for a reason! Case in point: when Steven Spielberg realized that he didn’t have enough money to make a mechanical shark, he decided to film the action of “Jaws” from its viewpoint! Some of the scariest scenes ever filmed! Similarly, even though Corning developed its Ribbon Machine process to make light bulbs, soon it started using it to make radio vacuum tubes. So, reevaluate your resources, reexamine your skills and assets! See what you have and whether some of the things you already own or have devised can be readapted in a way which will help you take advantage of the new markets. More often than not, you’ll be surprised to see how much of your potential you’re not using! Or: instead of using the third lens – selling what you already have – you can also use the fourth one: providing what the others would buy. After all, that’s why even McDonald’s is not the same everywhere: in India, you can buy Paneer Wraps from its restaurants, and in Japan there’s also a chicken veggie burger on its menu! Because the Indian and the Japanese people said so! “The Four Lenses of Innovation” demystifies innovation as something much more methodical and systemic than it is usually thought and presents itself as a power tool for creative thinking. That may be true, but we kind of feel that it treats innovation as something much simpler than it actually is and that it inadvertently starts from a position it takes someone years to achieve. Namely, the position of the highly competent and skillful intellectual with at least some kind of a vision for the future. And that is not everyone.